When it comes to the finest custom firearms in the world, the U.S. is home to the best; from Clark to Limcat to Wilson Combat, nobody does it like we do in America. Whether you’re in the market for a competition rifle, home defense pistol, or just looking for something new to flaunt at the range, Wilson’s got you covered. In this Gunivore company overview, we’re going to be looking at Wilson Combat’s history and impressive collection of custom firearms. Although Wilson has an extraordinary reputation now, it didn’t come that easy. The Arkansas-based gun makers started as a simple family business and only found success once they could market their remarkable products to the masses. These guns are not only trusted by competition and defense shooters around the world, but even by special forces groups such as Delta Force, U.S. Border Patrol, and the Navy Seals. 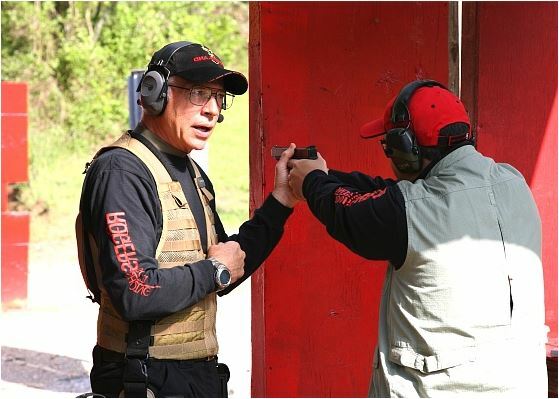 Furthermore, in addition to their reputable products, Wilson Combat is known for their exceptional customer service. Let’s take a look at how it all began. Rewind to about 40 years ago – The Soviet Union was still standing, there was no Star Wars, and Elvis was alive – it was then that Bill Wilson first got into the weapons industry. At that point, he was still working out of the back of his parents’ jewelry store, essentially teaching himself the art of gunsmithing. Wilson had been trained as a jeweler and watchmaker and had a passion for firearms, which made gunsmithing an easy transition. Having both a love and experience in these two fields led the Arkansas-native to combine his talents and begin customizing guns. Eventually, Wilson’s Gun Shop expanded and became the Wilson Combat we all know and love today. Around 1980, Bill Wilson teamed up with Bill Rogers (a former FBI agent and shooting instructor) and Ken Hackathorn (an expert marksman and small arms trainer for Delta Force) to develop their own 1911 magazines. As many of you may remember, 1911 mags were notoriously unreliable and weak. These three specialists joined forces and crafted what would be some of the best magazines ever made. 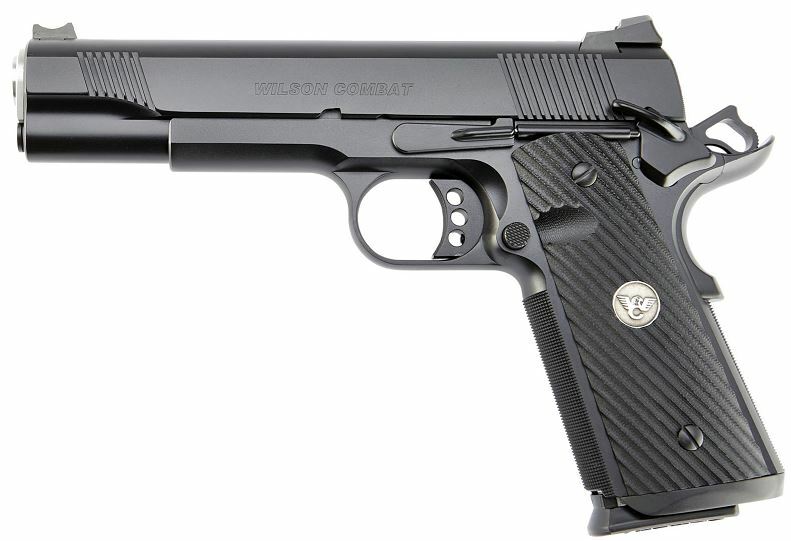 Besides for fixing the 1911’s feeding and durability issues, they also went on to produce high-end compensators, unbreakable ejectors, and recoil buffers. 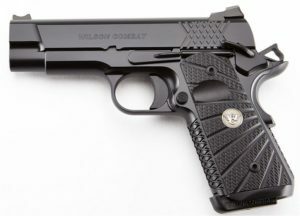 While primarily manufacturing premium M1911s and sticking to their traditional specs, Wilson threw a major curveball a few years ago when they released a *gasp* polymer-framed model. 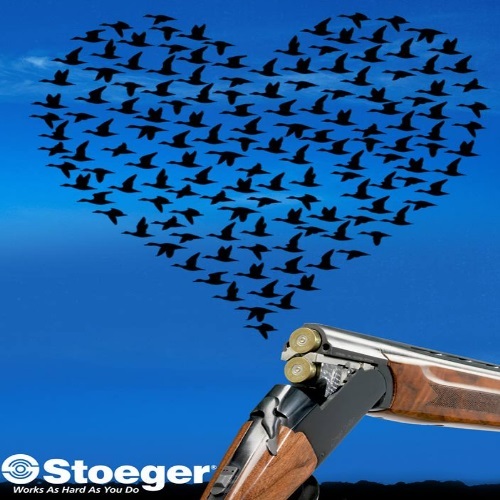 After an already remarkable career, the firearms pioneer was awarded one of the industry’s most prestigious awards back in 2002. To no surprise, Wilson was presented with the American Pistolsmiths Guild’s Pistolsmith of the Year Award in recognition of his commitment, innovation, and excellence to the field. In addition to manufacturing a massive array of their own parts and accessories, Wilson Combat also has working relationships with several big names in the industry such as Hogue Grips, Streamlight, and Bravo Company USA. In fact, they’ve developed quite a reputation for their custom ammunition and knives, Ultima-Lube II, and suppressors. Somethings age better with time, and Wilson definitely falls into that category. The Arkansas firearms producer not only has one of the best customer services in the industry, it’s also established quite an online presence. On top of their extensive educational materials, Wilson has a great YouTube page with dozens of useful and informative videos and tutorials. Now that we have a better picture of how Bill Wilson’s one-man operation turned into a first-class weapons enterprise, it’s time that we take a closer look at their incredible collection of firearms and accessories. 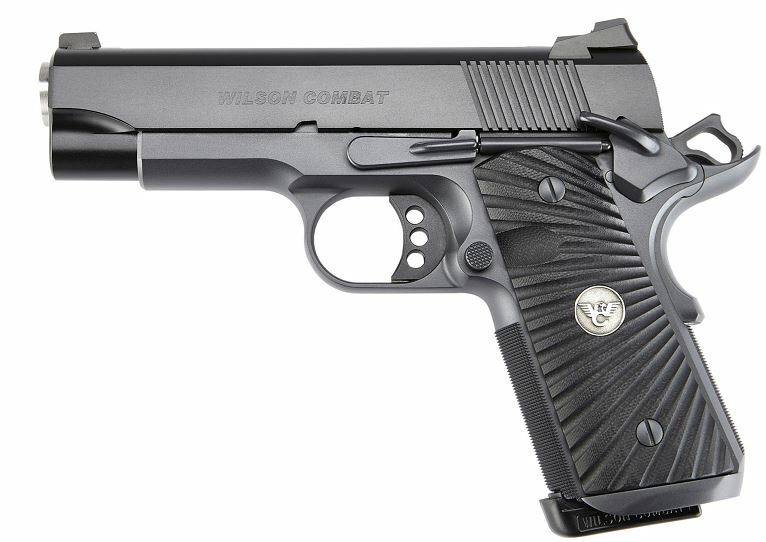 Wilson Combat founder, Bill Wilson, began his business after experiencing one too many failures with 1911s. After deciding to take matters into his own hands, Wilson started tinkering with his weapons and eventually built his own models. Over the course of the next forty years, his company has continuously been perfecting the classic handgun. 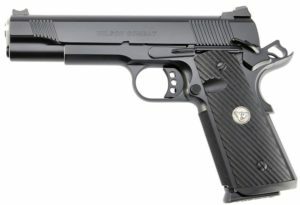 By modifying everything from the ammunition to the flat wire recoil spring, Wilson Combat has a nearly endless variation of 1911s to choose from. 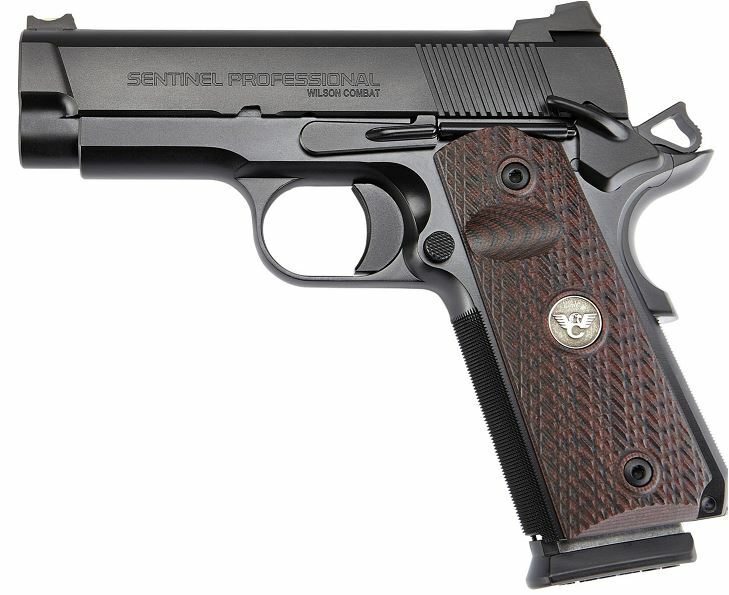 In addition to full-size and compact variants, Wilson’s line of 1911s includes a plethora of finishes, calibers, and grips. Besides for their massive array of 1911s, the Arkansas-based manufacturer also produces an AR-style pistol variant that is simply gorgeous. 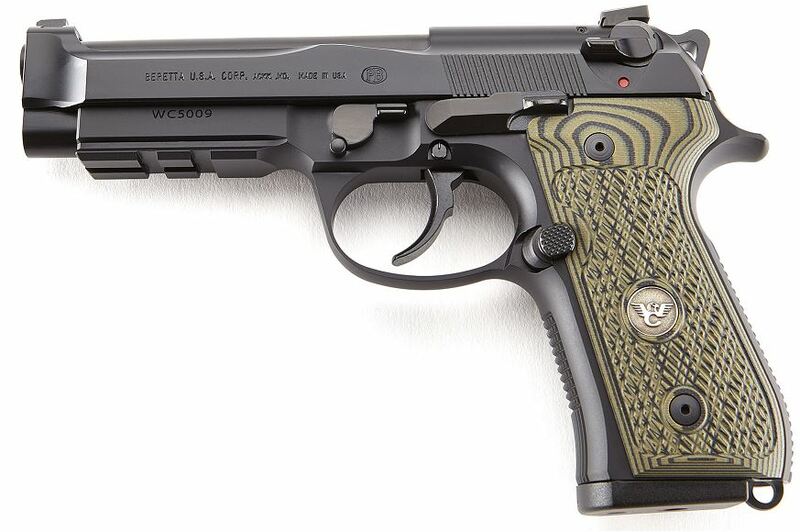 Plus, upon a request from Bill Wilson himself, Beretta teamed up with Wilson Combat to create a new 92 series pistol called the 92G Brigadier Tactical. 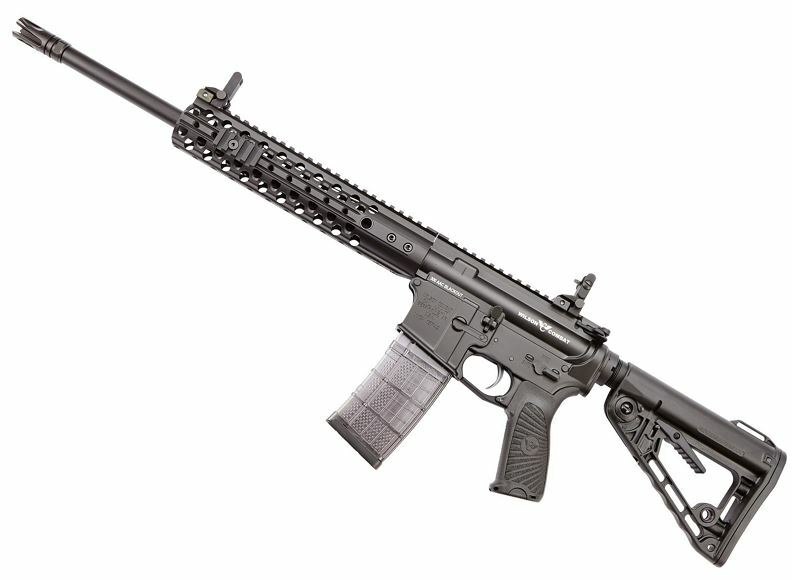 Although Wilson Combat is better known for their 1911s, they also manufacture an impressive range of AR-9s, AR-15s, and AR-10s in a variety of calibers. For nearly 20 years, Wilson has been crafting custom AR-15s with some of the best components and techniques in the industry. Furthermore, whichever parts are not produced in-house by their CNC machinists are subcontracted to some of the best Mil-Spec contractors in the States. Besides for their famously durable and attractive builds, these rifles are some of the most accurate you can find; all Wilson AR-rifles are rigorously tested and targeted for sub 1” accuracy. Whether you’re in the market for a home-defense weapon, hunting companion, or target shooter, Wilson Combat has got you covered. Plus, if their pre-designed models don’t satisfy you, their custom workshop allows users to build their own ARs to their exact desires. One of their most popular models is their redesigned AR-9, an insanely accurate and reliable competition and home-defense rifle that is as ergonomic as it is intimidating. 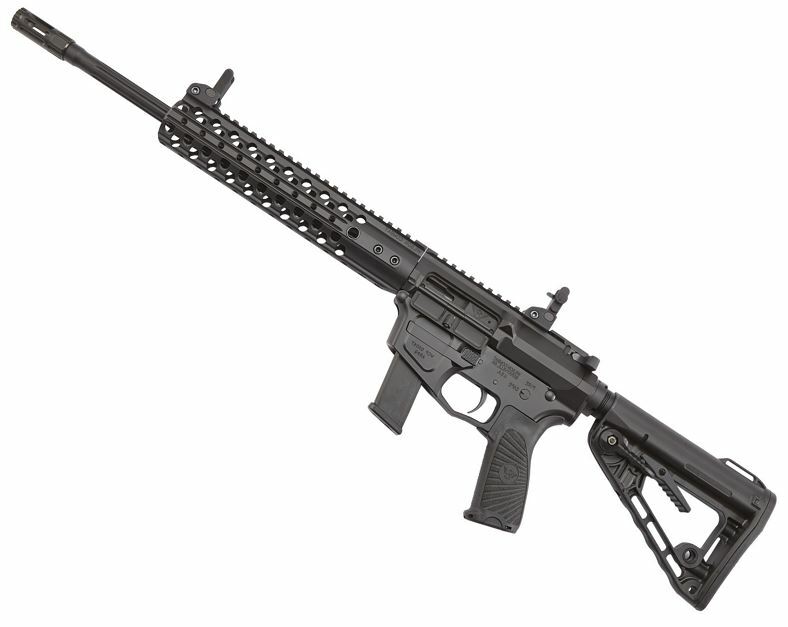 Another great Wilson rifle is their hunting AR-15 chambered in 7.62 x 40 WT. This affordable Wilson cartridge was based on the classic 5.56 x 45 NATO but reformatted for better terminal performance on soft tissue and less recoil. 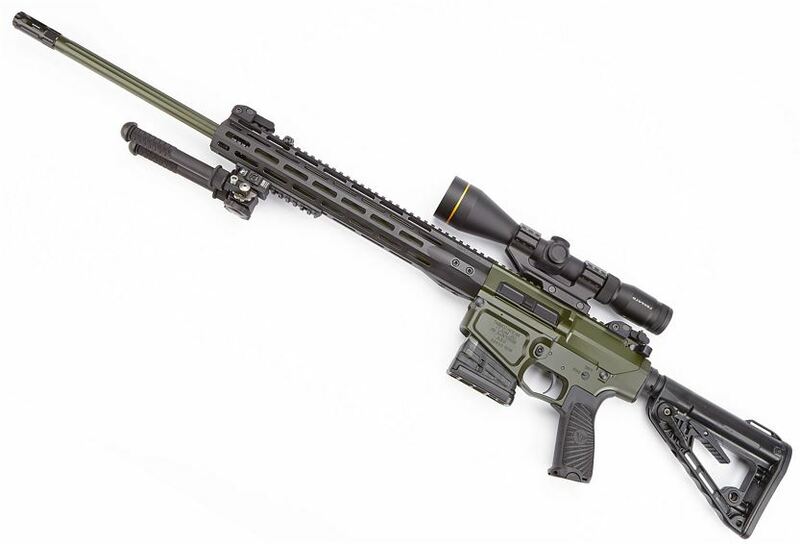 If you’re looking for one of the best long-range ARs, look no further than the Wilson Combat’s Super Sniper. This gorgeous rifle not only offers pinpoint accuracy at incredible ranges but is also one of the most reliable and consistent ARs money can buy. 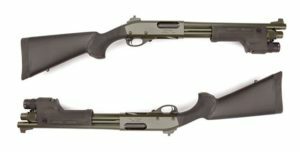 In addition to their collection of handguns and rifles, Wilson Combat also produces several distinctive shotguns based on the famous Remington 870. While these scatterguns are popular among citizens, they are primarily used by all kinds of military and law enforcement. Besides for their Standard and CQB models, Wilson’s Border Patrol and Professional scatterguns are among their most reputable and powerful firearms. Weight (Unloaded): 7 lbs. 7 oz. Weight (Unloaded): 8 lbs. 4 oz. Wilson Combat Custom Workshop is your one-stop shop for all your custom firearm needs. 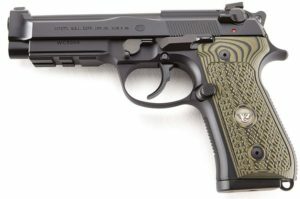 In addition to offering updates, fixes, and cleanings for a variety of guns, including Glocks and Beretta, Wilson also does custom parts, finishes, and engravings. 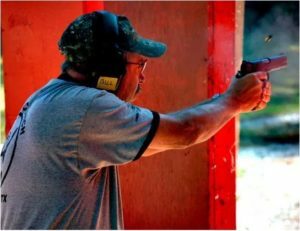 However, they are most famous for their custom 1911 and AR Gunbuilder program, which lets users handpick nearly every facet of their new firearm. In fact, Wilson lets their customers choose even the most minute features such as Nitre blued small parts accents for example. 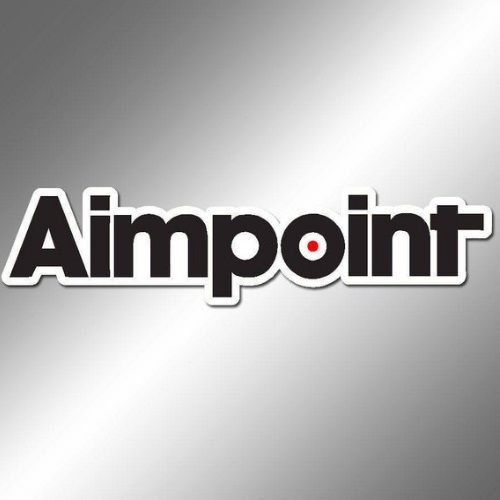 For other innovative gunmakers revolutionizing the industry, check out Daniel Defense, Henry Repeating Arms, Barrett Firearms Manufacturing, & Armscor. After handling several of their guns and speaking to representatives, it’s clear to me why Wilson Combat is one of the most trusted gun makers in the world. 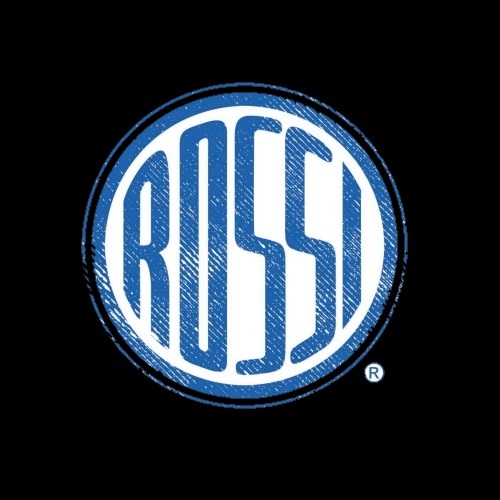 Their exceptional firearms are matched only by their tremendous company, dedication to excellence, and customer service. Whether you’re in the market for a top-shelf 1911, AR-platform rifle, or premium tactical shotgun, you gotta check out Wilson Combat. Abysmal customer service, and a waste of my money. What was originally “supposed” to be an eight week build time for an X-Tac is now up to 12 weeks, and I am told that it could be one month or more before it’s complete. I canceled my order today because I am tired of being lied about regarding build times, and still no completed product. I encourage anyone who is considering ordering a firearm from Wilson-Combat to seriously consider the estimated build times, maybe consider doubling it and decide then if you really want to order. It would have been nice to been made aware in the beginning of the “correct” build time, to at least kept up to date with what was happening. I am disappointed to say the very least, and will encourage others to seek elsewhere for their custom 1911’s. Unfortunately I am out my deposit of $500, but at least I am no longer waiting for a pistol that may or may not arrive some day. I whole heartedly DO NOT RECOMEND ORDERING FROM THIS COMPANY. Thanks for the tip, we’ll have to dig deeper and see how common this issue is. Which other custom shops are you looking into?